I would like to update you on decisions made in the last Board meetings, and share with you the great news about the new Board appointments. Over the last three months there has been a huge focus from the Nominations Committee comprised of myself, two other England Handball Board Directors and Kevin Allen (CEO of Korfball) as an Independent representative, resulting in the appointment of four fantastic new Directors to the Board. My thanks again to the Nomination Committee members who gave a significant amount to time to ensure a fair, and thorough recruitment process was followed. The Board has also agreed an enhanced set of awards to celebrate outstanding talent in the handball community and signed off the financials. The Board also agreed an exciting format for the combined Club Conference and AGM day which we hope will provide you with the opportunity to engage, share ideas and support the continued growth of the Association and handball in England. I look forward to the Cup Finals at Derby Arena, where we will be also holding the May Board meeting. Please find below an introduction to the new Board Directors. The new Board members are Diaraye Diallo, Paul Shapiro, Heather Williams, and Amanda Bennett. Diaraye brings a comprehensive blend of business experience and handball passion and knowledge. She is a banker by profession, with over 15 years’ experience with global financial institutions. Diaraye is the Chair of Olympia Handball Club, which participates in Premier Handball, Regional, and Junior leagues for women and men. She created the club’s growing Junior program, working with PE teachers and local boroughs. Diaraye is also an England Handball Level 2 certified coach and has taken part in numerous European Handball Federation manager education programmes. Paul is a managing associate at top tier sports law specialists, Northridge. His work focuses on commercial and regulatory advice to clients in the sports sector. He regularly advises on governance issues and financial regulation in sport. His experience also includes acting for athletes, brands and rights holders on sponsorship, licensing and merchandising programmes. Paul has a wide range of in-house experience following secondments to The FA and Nike. He speaks at conferences and on university courses and is a regular contributor to various legal publications, while he is a contributing author to the England & Wales chapter of the industry leading text book “The Sports Law Review”. Paul has a particular interest in improving participation in sport at all levels. He hopes his appointment as non-executive director will give him the opportunity to promote and develop this - and to contribute his skills and experience to the board and the game of handball more generally. Heather is a former national level swimmer and triathlete. Since 2003 she has combined her passion for sport with her professional business background, first at British Triathlon and then at British Canoeing. At British Triathlon she led the development of the talent programme before becoming Performance Director in 2006 and leading the programme to its first Olympic medals in 2012. During this time Heather was a member of the Senior Leadership Team which worked closely with the Board to develop the sport and the organisation. In 2012 she moved to British Canoeing to lead the development of the Canoeing Talent programmes in Sprint and Slalom. She is currently working with a number of sports to support the development of their World Class and Talent Programmes alongside studying for a Masters in Business Administration in her ‘spare time’. Heather Says she hopes to use her knowledge and experience to ensure England Handball has a robust and sustainable infrastructure with exceptional governance. Amanda, a former Wales international rugby player is Managing Director of FairPlay Ltd, which exists to support people and sports organisations. 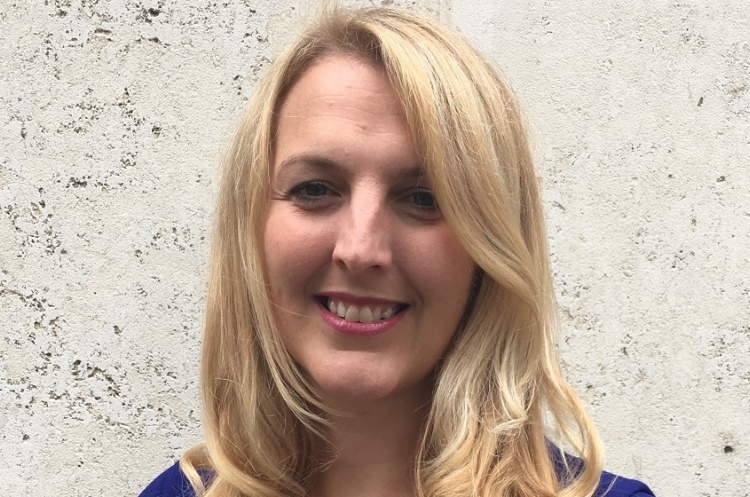 She is a specialist governance consultant with extensive experience across the sector having worked with the Welsh Rugby Union, The FA, UK Sport, International Paralympic Committee and a range of small and large governing bodies. Amanda has served as a Sport Wales Board member, and is currently a Non-Executive Director of Saracens Women Ltd. She was previously Head of Governance at UK Sport and contributed to the development of the Code for Sports Governance. She is an internationally recognised expert on women in sport, in particular women’s leadership, and previously served as Chair of European Women and Sport. Amanda continues to support and mentor aspiring female leaders in sport. Earlier in her career Amanda taught Physical Education and introduced handball into the curriculum, which proved to be extremely popular. Her passion for handball increased as a spectator of GB Handball at the London 2012 Olympic Games and is delighted to be able to contribute to Handball’s exciting future. England Handball Chair Tracy Watkinson said: “These are excellent appointments to the England Handball Board. They bring a mix of handball passion, and relevant professional skills – adding to the Board’s already considerable expertise. The appointments were made following an open recruitment process which invited applications from individuals who felt that had the required skills, knowledge and experience to meet the needs of the England Handball board. Once more a big thank you to the members of the Nominations Committee, especially independent member Kevin Allen, who gave up their valuable time to help in this recruitment process.